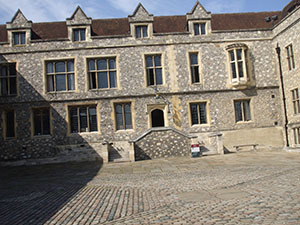 A visit to this fine Great Hall at Winchester Castle creates the atmosphere of the grandeur of the age of Winchester in its heyday. This was the hall where the great and mighty met, where decisions were made that affected the history of the country. 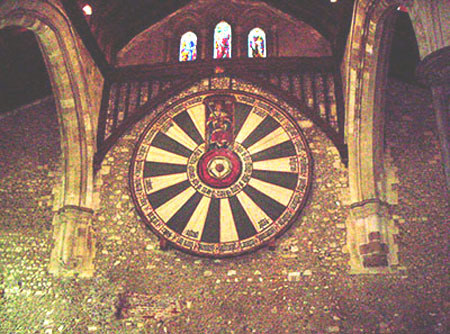 The only part of Winchester Castle that now exists is the Great Hall. Cromwell demolished the rest during the Civil War. The castle was built in about 1067 and joined the other Norman building projects of the time in the city. 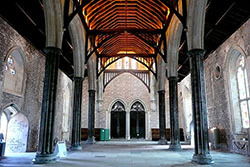 The Hall is Early English Gothic and was the first of its kind to be built light, bright and furnished with comfort in mind. Cutting edge technology then! The Castle is still an important and imposing place. 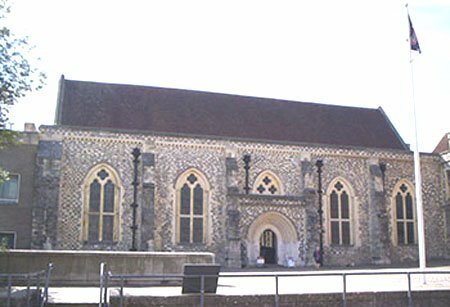 For years it housed the Hampshire County Council, now moved to more modern premises. At times the Great Hall is closed for important civic functions. Certainly makes a fine impressive venue. Outside visit the excavations of the castle. A lot of work has been done to uncover the original foundations. One can see how much was known about construction of large and heavy buildings from the foundations that are there. To construct them must have taken a lot of men a lot of time. No modern machinery! 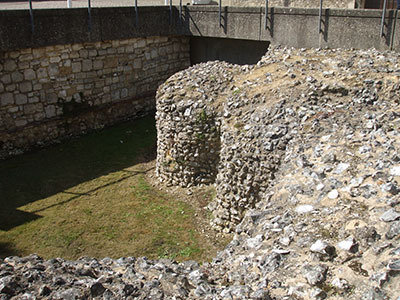 Architecturally these Norman castles are fine buildings created with exceptional skill. Daily 10 am to 5pm with the exception of Christmas Day and Boxing Day. However The Castle is still an important place and civic functions take place at times. Check this page for days when the Great Hall is closed. Donations are welcome - suggested £2 per head. There is a gift shop but it is in a separate building, quite easy to find. Lots of Winchester Castle gifts. Handily there is an online shop just in case you forget to get something! Quite a bit there.